Photographing sport offers a huge number of creative possibilities, and it's a great chance to try out some of your camera's modes and features that you might not have used before. Next time you go to a sports event, why not try shooting stunning action sequences, freezing motion and capturing the atmosphere of the game? These seven tips will help you make the most of your camera at the match, whether you're shooting with a compact or bridge camera such as the Canon PowerShot SX70 HS or a DSLR such as the Canon EOS 80D. At sporting events most photographers will be shooting from the same angle, so think about ways you can set your images apart. Maybe you could lie on the ground and shoot from a low angle? Or get a symmetrical composition of the players from somewhere up high? Often, shooting from the side of the pitch is better than being behind the goal. You could also try to experiment with different focal lengths. If you're using a camera with interchangeable lenses, a telephoto zoom lens such as the Canon EF 70-300mm f/4-5.6 IS II USM gets you right in close to the action, and its built-in image stabilization helps prevent camera shake. Most of the time, you'll shoot single frames, but when shooting action-packed sports such as rugby or football, you want the best opportunity to capture the most dramatic moments. That's why sports photographers shoot in burst or continuous shooting mode. To enable this, go to your camera's Drive Modes menu. Sometimes there is a dial on your camera's top plate giving direct control; otherwise, you'll find the drive modes in your camera's menu system. Single shot mode is depicted on the dial as a single rectangular frame, continuous shooting as multiple frames. Most cameras will be able to capture anywhere from 5 to 12 frames per second when set to burst mode. This allows you to sift through your shots at the end and find the one that best captures the moment, such as the goalie making a dramatic save. The Canon PowerShot SX70 HS can shoot 10 frames per second in burst mode, and it has a practical vari-angle LCD screen that lets you photograph comfortably even while lying down or standing in awkward positions. 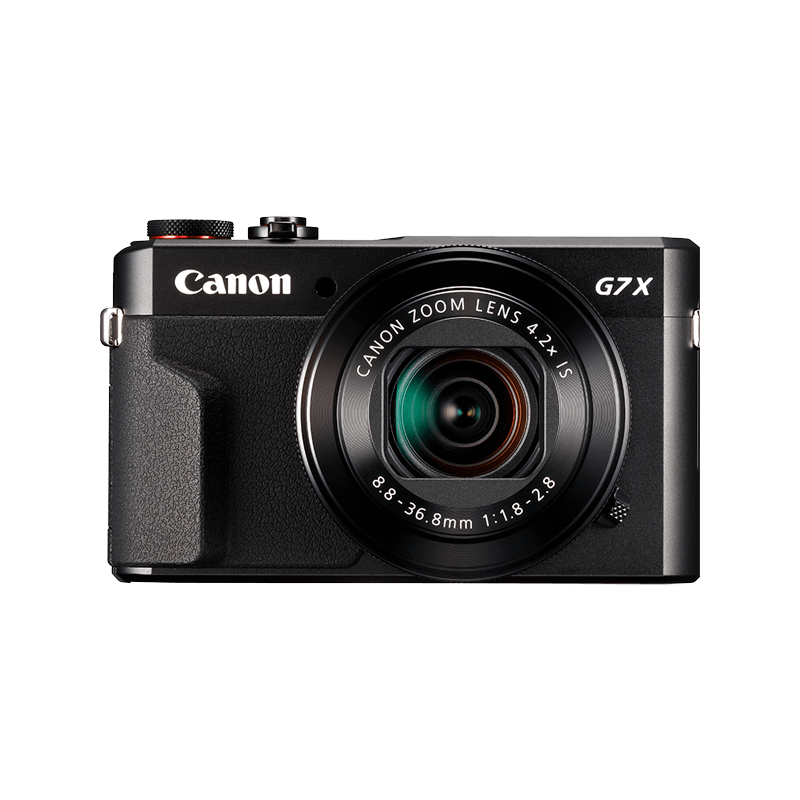 Another good option is the Canon PowerShot G7 X Mark II, which shoots 8 frames per second. It has a 31-area autofocus system that lets you pick your focus and track faces and objects by tapping the screen. Your camera's Auto White Balance does a great job at reproducing accurate tones and colours. Whether you're shooting a game in the daytime or at night, it's best to use your AWB and let your camera automatically adjust as the light changes. Using your AWB setting also frees you up to concentrate on composition and anticipating key moments. To enable your Auto White Balance, typically there will be a WB button on the back of your camera, or on your LCD if it is touch-sensitive. Pressing this lets you cycle through the options. Photographers are often told to shoot RAW files, or to shoot JPEG + RAW, but in sports photography this rule-of-thumb is often ignored. Many photographers who shoot in burst mode (photojournalists, sports and wildlife photographers, in particular) will shoot JPEGs because your camera will usually capture more frames per second as JPEGs than as RAW files. RAW files are bigger and contain more data, and in some cameras they take longer to clear your camera's buffer. JPEGs are smaller files, meaning your camera can write them to your memory card faster and capture more moments. Your camera is likely to shoot JPEGs by default, so if you haven't changed this, you're good to go. Even when shooting JPEGs in continuous shooting mode, shoot in short bursts – press the shutter for one to two seconds and let go. If you keep it pressed down for too long, the buffer will fill up and slow down your shooting speed. The special feeling of being at a match isn't just about what's happening when the game is at its peak. Try turning your camera towards the audience to capture hopeful faces and creative outfits, or zoom in on the players' anxious expressions or their arms around each other just before the game kicks off. If you're using a camera with interchangeable lenses, a lens such as the Canon EF-S 55-250 f/4-5.6 IS STM is a good choice for this type of shot because its focal length means you can go wide enough to capture the bigger view of the pitch, yet hone in on specific players or follow the action. Out of the box, your camera will usually come with its AF mode set by default to Single Shot AF, and this is where most photographers tend to stay. But when you're photographing moving subjects on the sports pitch, you'll need to switch to Servo AF Mode. Usually there's a direct control on the back of your camera for switching AF mode – either a physical button or an option on your touchscreen. Servo AF, also known as continuous autofocus, will keep focusing on your designated AF point as long as you half-press the shutter button. This is really handy for sports photography because you can focus on points where you anticipate the action will happen – such as around the goal – and wait for the moment to occur. Your AF Tracking mode takes this even a step further. In Tracking mode you simply touch the AF point on your LCD (if your camera has a touchscreen) or half-press the shutter to lock focus on your subject, and then your AF point will move with that subject as it moves across the frame. This is great for following the action on a crowded pitch. If you have a DSLR or mirrorless camera, you can use the Canon Photo Companion app to learn more about your camera’s functions. The goal of any sports photographer is to freeze the action in dramatic moments, and the only way you'll do this is to shoot at fast shutter speeds. Ideally, you'll want to be shooting at around 1/1000sec, but certainly not slower than 1/500sec. A good way of achieving these shutter speeds is to refer to your mode dial and change the exposure mode to Shutter Priority (Tv). What this does is allow you to dial in your desired shutter speed, and the camera will then set the aperture and ISO accordingly to guarantee that speed.